As soon as word spread about the fires in Oregon, our Smith River staff was immediately concerned about our neighboring SSP site and it’s staff in Chiloquin, Oregon. As the fires raged on, our worries grew and we didn’t know about the possibility of the continuation of the work there. We wanted to help anyway we can and when we got the call early into our week 5 that the 60 volunteers from Chiloquin would be making the trek down to Smith River to continue their week with us we couldn’t wait. We were nervous to host the biggest week of SSP that had ever been. We didn’t know what to expect, if there would be enough room, enough food and enough work. Despite all of the challenges we saw, we knew that our staffs were capable of overcoming them and that God was on our side. Above all we were excited to embrace this new experience with open arms and open hearts. So in 24 hours we called in some community favors, a couple of port-o-potties and our construction team came up with as many community projects they could think of. We arranged new sleeping areas, bought food and prayed for the safe travels of our Chiloquin friends. The Chiloquin staff and volunteers beat us to our own water day at Jedediah State Park and what a joyous celebration it was. Our staffs embraced each other as well as the different youth and adult volunteers we have gotten to work with at past SSP’s. There was so much love and welcome in the air as the two sites became one and SSP Chilo-River Megaweek commenced. It was by far the most adventurous Adventure Wednesday that I have ever been a part of and that was only the beginning. Our mega-songtime is something that I believe will live in the hearts of many for years. Our guitar players sat in the middle facing outward and everyone else formed a giant circle surrounding them. We played the SSP songtime classics, sang, danced and rejoiced in the community that we were building. Was it chaotic? Absolutely! But in the chaos there was joy and beauty. Throughout the week we combined work teams to advance our bigger projects. We also had many service opportunities in crescent city community gardens, churches and faith centers. There was plenty of work for all of our excited volunteers. As for the spiritual program, I don’t think there could be a more fitting program theme for Megaweek to take place in. Love Courageously! It was a perfect opportunity for our volunteers to practice opening the doors, making room for others both physically and in their hearts and to put their love into action. Matthew 18:20 says “when 2 or three gather in the Lord’s name, God is among them.” Well what about when 140 gather to serve God, the community and each other? I can tell you for certain that the presence of God was amplified among the 140 and beyond. These volunteers were able to touch so many lives both in the SSP community and in the Smith River/Crescent City communities. Amen for Megaweek and may anyone who has the opportunity to participate in the future open themselves to the beauty of the experience! 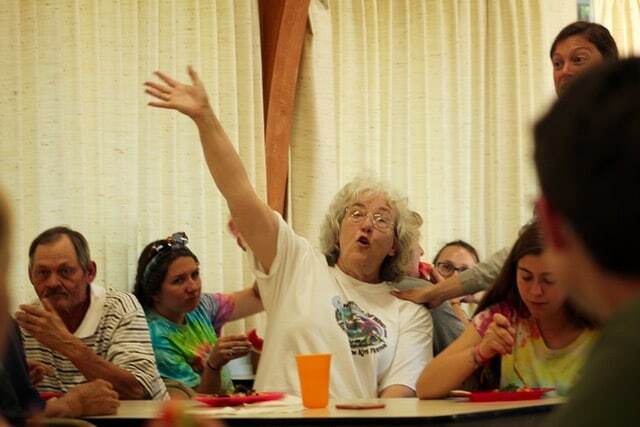 Editor’s Note: Kelsie Currie has served on Summer Staff for three years most recently in Smith River, CA. Kelsie will be returning to Smith River in 2019 as the site director. 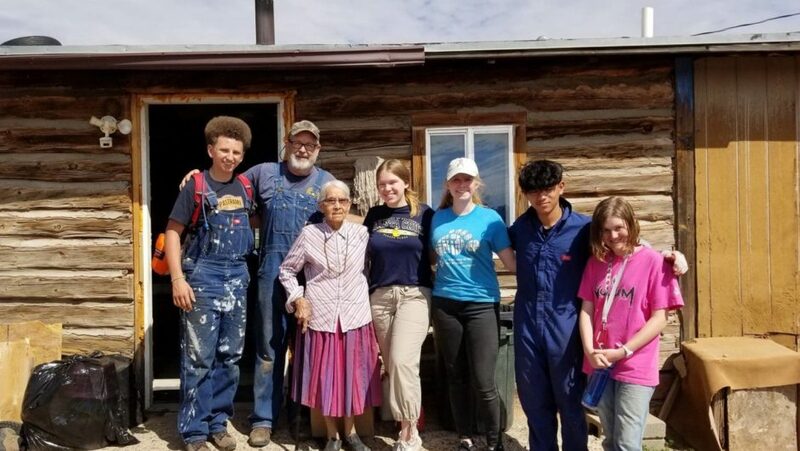 This article is featured in SSP’s 2018 Annual Newsletter; read all the stories written by youth volunteers, summer staff, and community members. Request a hard copy newsletter to be mailed to you. 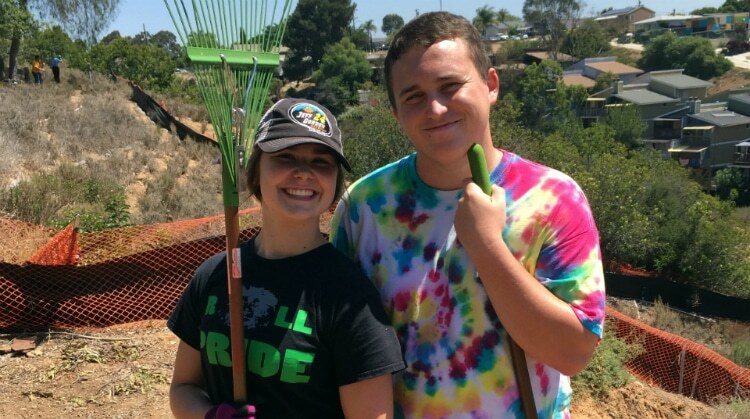 Spend your summer working with teenagers creating change in an underserved community. 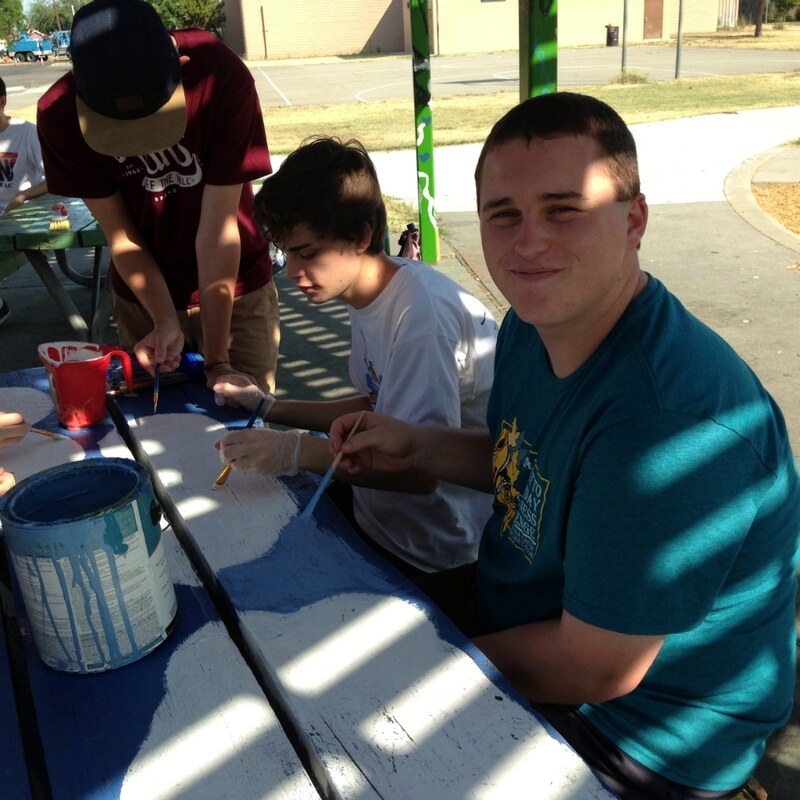 Liam beautifying a park in Stockton alongside the local nonprofit Reinvent South Stockton. My name is Liam Smith and I have just been chosen to serve on the Sierra Service Project’s Board of Directors. I have been on twelve SSP experiences in Chiloquin, Smith River, San Diego, Coarsegold, McDermitt, Susanville, South Los Angeles, and Stockton. Each time I have been able to see growth in myself, others, and the communities SSP has served. My first SSP experience was a Middle School trip in Coarsegold and I remember being completely overwhelmed with a sense of love, passion, and commitment. Throughout my years of experience serving at SSP I have learned far more than just how to build a fence or paint a house, I have learned to love people better, love God better, and love our communities better. After graduating from High School I plan to go to a four year university to get a major in either history or political science. While I don’t exactly know where I will be attending I plan to eventually become a pastor. I don’t exactly know where that will be taking me but I am super excited to find out where God is taking me. While I don’t exactly know where I will be attending I plan to eventually become a pastor. Serving on the Board will equip me with the experience I will need to be able to further myself in the near future. Being able to collaborate with people, share opinions, and gather new concepts and ideas will be able to further develop my thought process. This I believe will help me both in my immediate future and my college career. Editor’s Note: Liam was able to serve during our summer program so many times because he came to SSP with his church and as an Individual youth. Learn more about SSP’s 2017 locations.